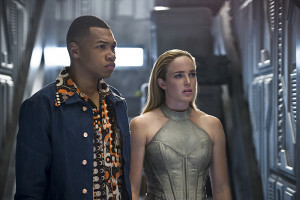 Advance Review: DC's Legends of Tomorrow "Pilot, Part 2"
Advance review of the second episode of DC's Legends of Tomorrow, titled "Pilot, Part 2"
The second episode of DC’s Legends of Tomorrow airs tonight (January 28) at 8PM ET/PT on The CW. Titled “Pilot, Part Two,” it does exactly what was written on the box – it serves as a complement to the first hour, and honestly, it’s a lot better than the first hour. Episode 2 sees the team trying to stop Vandal Savage from doing bad things (of course! ), and in doing so, something gets left behind that could cause a bit of a time paradox, so they have to fix that. 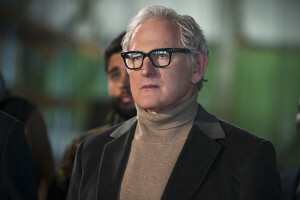 In order to find that missing element – a piece of Ray’s technology – they need to go to the younger version of Professor Martin Stein (Victor Garber’s character). The bulk of this episode takes place in the 1970s, and that leads to some fun styles and commentary, which is good. We meet a younger version of Stein, who sadly looks nothing like Victor Garber, but isn’t as embarrassingly bad of a “younger” casting as, say, Young Tommy/Nathan on Heroes Reborn, and the actor they got for young Stein is decent. The younger Stein’s reaction to Sara, and the older Stein’s reaction to it, is very amusing, and illustrates why this group of characters being pushed together could lead to some fun. 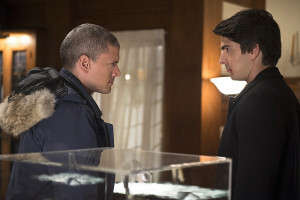 Also fun is a moment when Mick Rory seems surprised that Stein can do something sneaky, and there’s a team-up between the straight-laced Ray Palmer and the show’s two resident hot and cold hoodlums. What is “fun” isn’t always perfect, though. By Episode 2, I would have hoped to have seen more eras than just “1975.” I also don’t mean to sound like a prude, but there are some drug references that I found unnecessary rather than funny — I felt the same way when the established as 20 year old Jax was offered a drink in the first episode. If superheroes — even ones who have killed people in the past — are partaking in drugs, what does that say to the teens who might be watching? I also admit, while I really do enjoy this cast, there are certain characters I really haven’t connected with. Perhaps there are too many characters in this ragtag bunch? 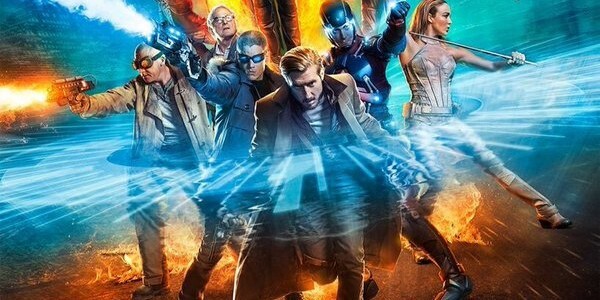 Part of me also kind of wishes Rip Hunter was portrayed differently, because as it is, he feels like “The CW’s version of the Doctor,” and this team can do better than that, though I’ve been a an of Arthur Darvill’s ever since he was traveling through time and space as a companion on Doctor Who. Oh, and there’s also the matter of an Arrow character who makes a cameo, which has been spoiled in the “Pilot, Part 2” official photos. Even with the show not yet being perfect, Episode 2 leaves me with high hopes for what might come next. New eras (I hope! ), and Episode 2 closes with a shocker that should give us some really good story material to watch in the coming weeks. I’m along for the ride… and on that note, I LOVE the Waverider set. The action and the visual effects, too, are very on-point and far beyond what you’d expect to see on broadcast television – everyone has brought their A-game to this. My rating? 3 Waveriders out of 5. Not the highest praise, but still pretty darn good, and I have a feeling some 5’s are going to pop in this season, especially with characters like Jonah Hex making their way in. It’s definitely worth checking out, and even more worth it if you keep The CW on and watch The 100 right after — it’s a great night of TV. 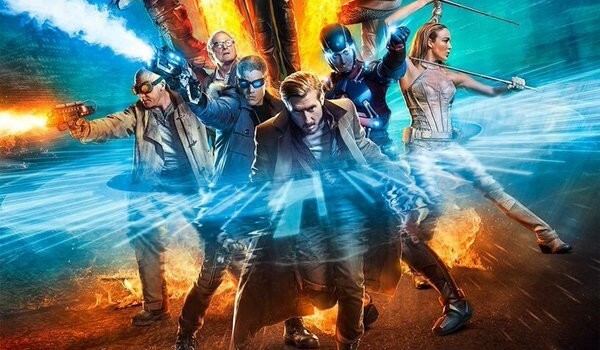 DC’s Legends of Tomorrow Episode 2 airs tonight at 8PM (ET/PT) on The CW.